This is the Dump of Daves Thoughts. Trying to collect all texts I happened to write on the internet. Maybe eventually writing new texts. Bashscript zum Downloaden von chilliger CC-lizenzierter Musik, die bei SpaceNight eingereicht wurde. A python script to display MPD, weather and cpu load data via screensaver on a Raspberry Pi. My contributions for the Great Comic Strip Downloading Script named 'dailystrips'. Short solutions for small problems I ran into and did not find a comprehensible FAQ/HOWTO/whatever. Gewisse Strömungen in der heutigen Gesellschaft erhöhen den Anteil an notgedrungenen Scheuklappenstudenten zu sehr. Rezept für eine Blätterteigpizza mit Hackfleisch, Weißkohl und Käse. Some plugins for Squirrelmail I wrote. Some are officially downloadable from the Squirrelmail Plugin site. How to extend an existing courier-imap server with an training option for the bayes filter of SpamAssassin. On moving a message to a special spam IMAP folder, the sa-learn program is called to feed the message into the bayes db. How to patch SpamAssassin to look in the right places for bayes dbs and user_prefs on a system with Courier Virtual Domains/Users. 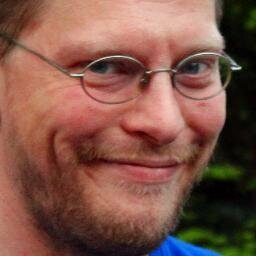 Dieses Dokument beschreibt die Installation von Debian GNU/Linux auf einem von Strato gehosteten Rootserver.